Posted December 11, 2013 & filed under In the News. Wellntel is featured in the December issue of National Driller Magazine, with a cover headline and a three page piece by Holly Case. In addition to interviewing Team Wellntel, Holly visited with Sue Luft, President of Pro Water Equity, a group working on groundwater issues in the Central Coast of California, and who is graciously leading a Wellntel pilot project near Paso Robles, California. 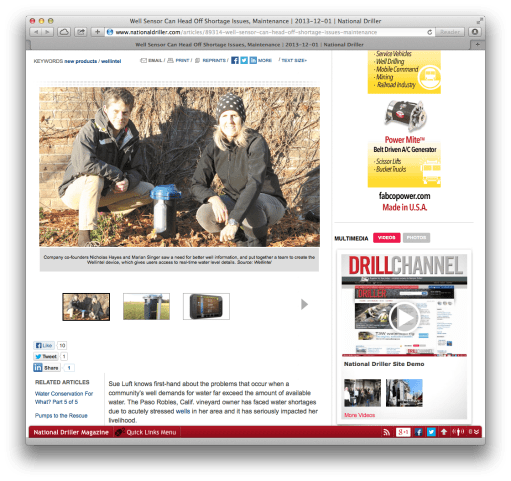 Holly’s article does a great job of explaining why and how groundwater information will change the way that people like Sue and her neighbors will care for their groundwater resources. It also explains how and why groundwater professionals – well drillers, servicers, and contractors – will benefit from helping their customers with Wellntel’s groundbreaking groundwater information. Posted November 22, 2013 & filed under Blog. Posted November 8, 2013 & filed under Blog. Posted November 2, 2013 & filed under Blog. The World Resources Institute’s Aquaduct project has published a global assessment of agricultural risk from water shortages. The report says that 25% of the world’s agriculture is grown in highly water-stressed areas, suggesting that sustainable water practices will be vital to farm businesses and the people that depend on them for food. The data are available to all, per Creative Commons Attribution. Click here to explore for yourself. Posted October 31, 2013 & filed under Blog. If you’ve wondered why a private well owner would want or need Wellntel, listen to this story about the region around Paso Robles, California, where the pressure is so severe that family wells are drying up and residents are having to truck in water. “Wells Run Dry in Paso Robles” from TCRAM 2013-10-30 by KQED Public Radio. Released: 2013. Genre: Public Radio. Read The California Report here. Wellntel’s first pilot site will be near Paso Robles, starting next month. 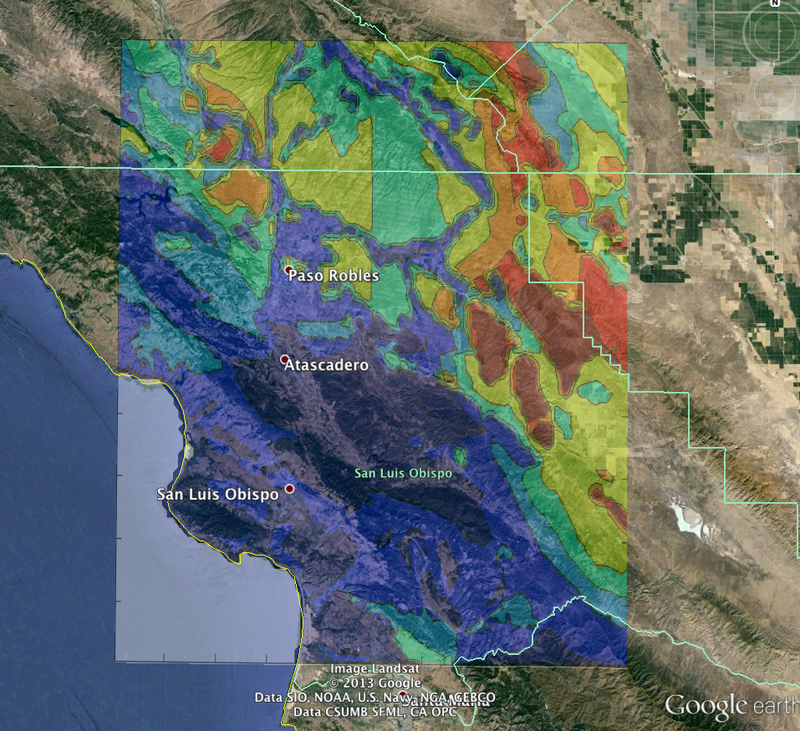 Wellntel engineers will cooperate with scientists from University of California at Berkeley to build a more accurate model of the current groundwater condition in the area and explore the value of better information in the hands of neighbors participating in the study. Early models, like the one shown below, are starting to be produced. Wellntel’s groundbreaking groundwater information system will put information about the health or the well and the aquifer in the hands of the folks who need it. Wellntel will make it possible for neighbors to treat water like a bank account: ensuring that withdrawals are covered by deposits. Posted October 28, 2013 & filed under Blog. We’re excited to introduce a new member of the Wellntel Team. Dave Garner will be taking on the role of Technology Team Leader starting immediately. 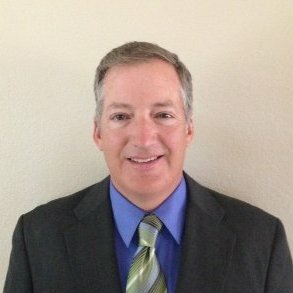 Dave is an experienced Project Development Engineer with many notable product design and launch accomplishments, including large scale solar and renewable energy systems, I/O modules for building automation, temperature/ pressure controls for refrigeration, solid state overload relays and power monitors. Dave has worked for Rockwell Automation and Johnson Controls and earned his BS in Engineering from MSOE. Dave has won many merit awards for his solar projects and is a recipient of the Wisconsin Governor’s Innovation Award for his work designing a smart motor controller power supply. Dave adds considerable engineering horsepower and talent to Wellntel. During his first few weeks here, he will help refine our sensor, power, and communications architectures, witness pilot system deployments in California and other places, work with suppliers and brand and science partners to ensure cost and reliability targets, and will support the commercial launch of Wellntel’s groundbreaking, patent-pending groundwater information system. You can reach Dave at dagarner@wellntel.com. Posted September 30, 2013 & filed under In the News. Wellntel made hometown news last week, with an in-depth feature in the Milwaukee Journal-Sentinel’s business section. Business Reporter Kathleen Gallagher worked hard to get the story right, interviewing many members of Team Wellntel, Wellntel investors and scientists at U-C Berkeley. Since it ran, the phone has rung off the hook with folks wanting to own their own Wellntel. Whodathunk so many Wisconsinites would be concerned with their groundwater? Posted September 24, 2013 & filed under Blog. The Wisconsin water technology firm Wellntel, working with scientists at the University of California, Berkeley, will bring groundwater into view to help make it sustainable. It’s a bold project that will have lasting positive global consequences. Until recently, ample groundwater seemed like a sure thing. Generally, if you could afford to drill a hole in the ground, you would eventually find clean water to pump to the surface to use for drinking, washing or irrigating. However, groundwater risks created by population growth, pumping and climate change have recently become a major new factor affecting economic prosperity, food supplies and even health and peace. When groundwater levels change, many people are affected. Homeowners and farmers pay upwards of $1.2B a year in the U.S. to keep water flowing from their wells. Groundwater contractors find it more difficult to locate ample supply of water to support the populations in their regions. Local governments can’t balance permitting with development plans. 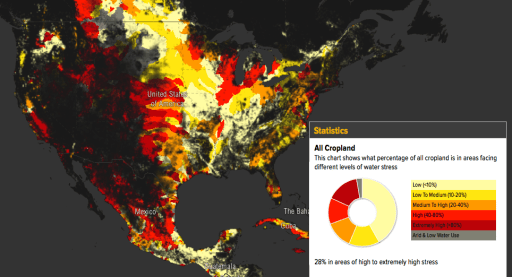 Financial markets and insurers have started to notice; good credit, bond ratings and insurability can depend on a local groundwater sustainability plan, and very few exist. Meanwhile, scientists who study groundwater and make recommendations have been frustrated by a lack of information. For example, the only time local groundwater level information is collected is when a well is dug, so it can be old and inaccurate. Sometimes records are not available at all. For the most part, we’re all guessing about groundwater. The good news is that groundwater can be treated like a savings account with automatic deposits. Rain and surface water sources naturally replenish groundwater, given enough time and a route. With a little information about what’s happening down there, people who need and care about groundwater can create a budget that lowers their costs, protects property values, balances the needs of neighbors and improves crop production. 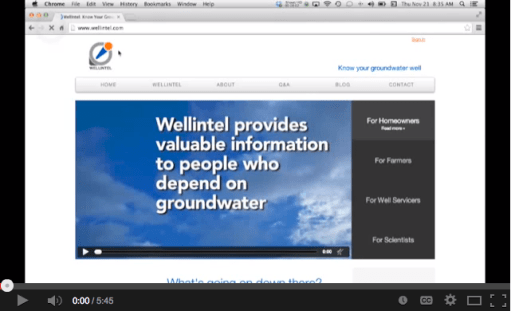 Wellntel has developed a technology that makes information about groundwater easy and inexpensive to get. Wellntel sensors continuously measure water level in a well. The information can be collected, charted and used to trigger alarms if something is amiss. UC Berkeley scientists will work with Wellntel engineers to combine this groundwater information with other related data, like gravity, precipitation and soil moisture, to show correlations and help owners and managers develop groundwater budgets. 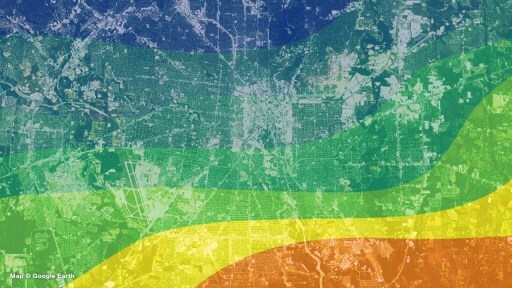 The teams will start by connecting Wellntel sensors on a field of wells in a water stressed region and feed the data from these sensors to a groundwater computer model which will interpret changes in greater detail and resolution than has been available before. Well owners participating in the study will be able to privately see, in real time, fluctuations in the water table, their own well’s production and they’ll gain a greater understanding of other influences like rain and pumping. The lead scientist at UC Berkeley, Dr. Norman Miller, adjunct professor of geography and a co-recipient of the 2007 Nobel Peace Prize for his work on climate change, is an expert on the hydroclimate, the science of physical factors that impact water and weather. His research focuses on understanding climate, hydrology, and ecology factors on energy and water supply and demand, water quality, agriculture, and impacts to other sectors of society. The lead researcher, Raj Singh, UC Berkeley PhD candidate in geography. will carry out the numerical simulations and primary data analysis for the project and report on the impact and potential in the new data and will work closely with Wellntel product and website designers. Wellntel is the brainchild of Marian Singer and Nicholas Hayes, Milwaukee-area business partners and entrepreneurs who have worked together leading research for product development in the water and energy sectors for over a decade. Their work with Fortune 250 clients has produced innovations in manufacturing, chemical, paper, mining and wastewater treatment. Wellntel marks a shift for the team, from exploring markets and coming up with ideas for others, to launching one of their own. It comes on the heels of a year-long research project to understand groundwater globally that took them on a whirl-wind tour of drought-stricken regions of North America, to the water-centric Netherlands, and to India, where more people depend on groundwater than anywhere else in the world. Posted July 5, 2013 & filed under Blog. Visit Scale Up Milwaukee for more information. Posted June 20, 2013 & filed under Blog. In this short film about groundwater stress in central Wisconsin, ex-Department of Natural Resources (DNR) pros and hydro-geologists explain the strong connections between groundwater and surface water and water and the vibrant communities. Not Standing Still: The Degradation of Wisconsin’s Waters [Short Film] from StoryFirst Media on Vimeo.